Thanks, Jenny. I wish I had been there, as McGilchrist’s ideas have influenced my own thinking about how to behave in the world and how to educate oneself. I particularly like his image of the extended hand, and how, at first, we often cannot tell if a hand is extended to connect or to manipulate—they often look the same. 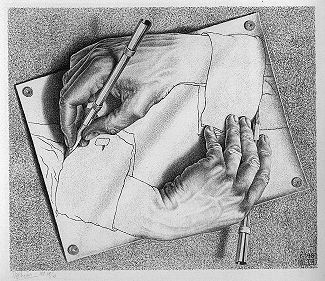 We can’t tell which it is whether it’s our own hand extended or a hand extended toward us, probably because it is seldom all one or the other but a mix of both. Very tricky. I notice that I’m often at my most manipulative when I think I’m being my most helpful and relational. 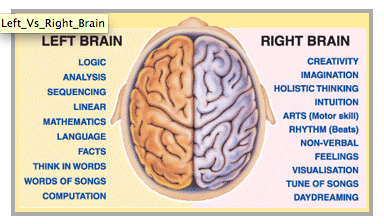 So I am wondering if (in community terms) participation is a right brain thing and reification is a right brain thing. Of course, it’s probably much more complicated than that because in ‘participating’ in this conversation, I am reifying (some of) my thoughts and feelings and intuiting some of your meanig from what I know of you. 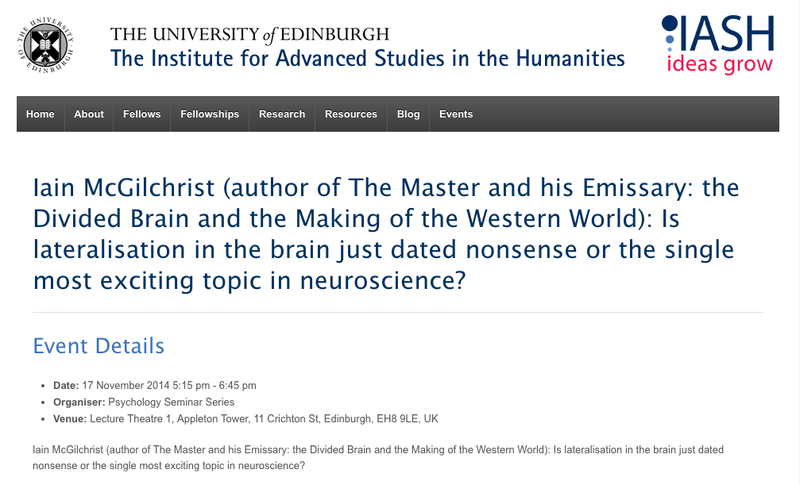 Oops, I meant reification as left brain thing. Also like Rhonda’s Yin yang. Hi Rhonda – how lovely to hear from you. Thanks for your comment. Your ‘Tao black-and-white’ reminds me of Etienne Wenger’s dualities. What I learned from Etienne (to put it simplistically) is that there are two sides to every coin and the interplay between them is what is interesting – which relates to the interhemispherric relations that McGilchrist talks about. I would love to hear more about your thoughts about how this relates to people with dementia. My mother has dementia and I agree that quality of life is a paramount concern. Hi Rhonda – thanks so much for your comment. I haven’t done any formal research into dementia, but it makes perfect sense to me that qualitative methods should be used to explore this distressing (from my perspective) condition. I have read about the SPECAL method. I am not sure whether my mother’s carers consciously apply this method, but she receives excellent care. She still lives in her own home, in a contented bubble which we all do our best not to pierce, but she appears to have very little idea about what is going on and her short term memory is down to seconds. However she still has a wonderful singing voice and can sing all the old musical songs word perfect. She is 89 and everyone, including me, thinks she is wonderful. I would love to read your dissertation report. Thank you.